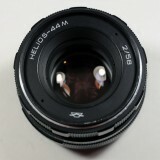 Rollei QBM mount lenses can be used on a digital camera using an adapter. Adapters for Rollei QBM mount lenses exist for Canon EOS, Sony NEX (E mount), micro 4/3 (MFT), Fuji-X and Canon EOS M. Not all camera to lens combination allows focusing to infinity. 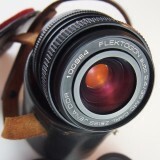 As with all vintage lenses used on a digital camera using an adapter, focusing and aperture setting has to be set manually. QBM stands for Quick Bajonett Mount. The mount was used on most Rollei and Voigtländer 35mm cameras. 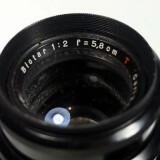 The main manufacturers selling QBM lenses were Schneider, Carl Zeiss, Rollei and Voigtländer. 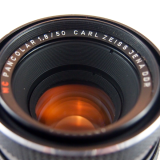 Most Voigtländer and Rollei lenses were actually manufactured directly by Carl Zeiss and are of good quality. 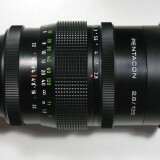 Early QBM lenses have an all metal finish while later models have a plastic focusing ring. 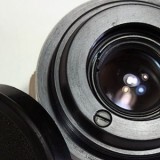 Mounting a Rollei QBM lens to a Canon EOS is normally not problematic. It will allow you to focus to infinity. I would recommend getting an adapter with a AF confirm chip. This will help you with focusing.